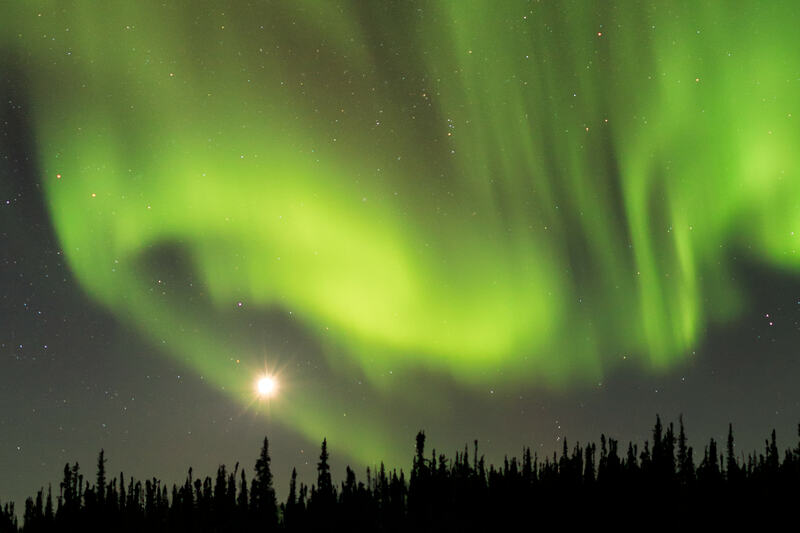 Located about 250 miles south of the Arctic Circle, Yellowknife is the only city in Canada’s Northwest Territories. Although it is not the northernmost city in the world, it boasts being the best place in the world to view the aurora borealis due to its latitude and the high number of clear night skies each winter. In the span of one year, I visited Yellowknife on four occasions with the sole purpose of photographing night skies with dancing aurora. One of those visits was in September but the other three were during times when there was still ice and snow all around. The interesting thing about the Yellowknife area is that there are many more roads open in the winter than in the summer and as a result, many areas are only accessible in winter months. This is because roads are created each winter on frozen lakes and run hundreds of miles in all directions. In early April (officially spring but certainly winter-like in Yellowknife) I made my second trip up north and had the good fortune of being there with clear skies. On the day I arrived, I drove out of town on several ice roads in search of suitable locations for the nights that would follow. 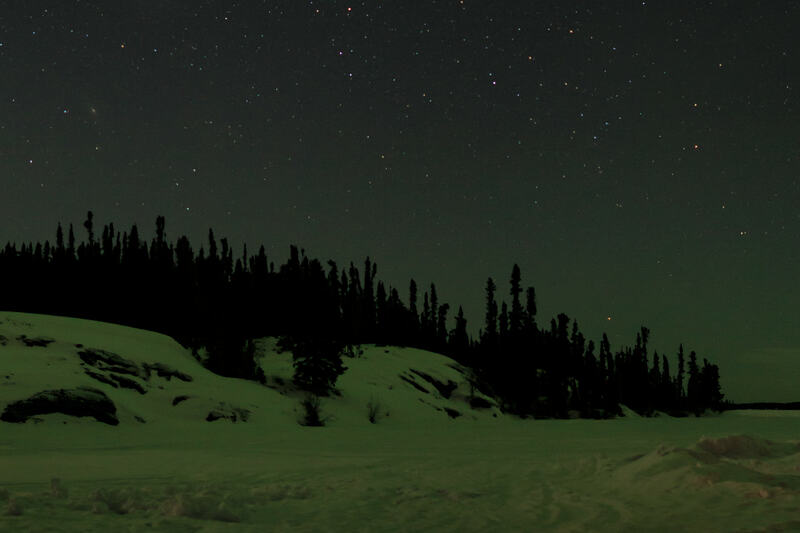 Then for several nights in a row I headed out just after midnight to locations that were truly out in the middle of nowhere - or, more accurately, out in the middle of frozen lakes. Common on these lakes are tents set up by snowmobilers as a base to warm up between runs. I had seen them glowing with gas-lantern lights on my first trip and had been searching for one to anchor an aurora photo ever since. On this night, everything came together. 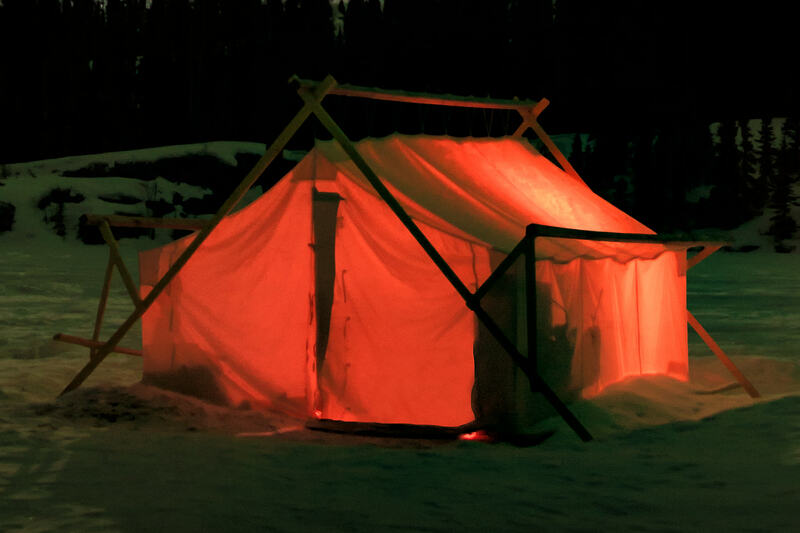 I was in position with a glowing tent in front of me, the special equipment I need to create a VAST photo set up, and a magnificent geomagnetic storm raging overhead. 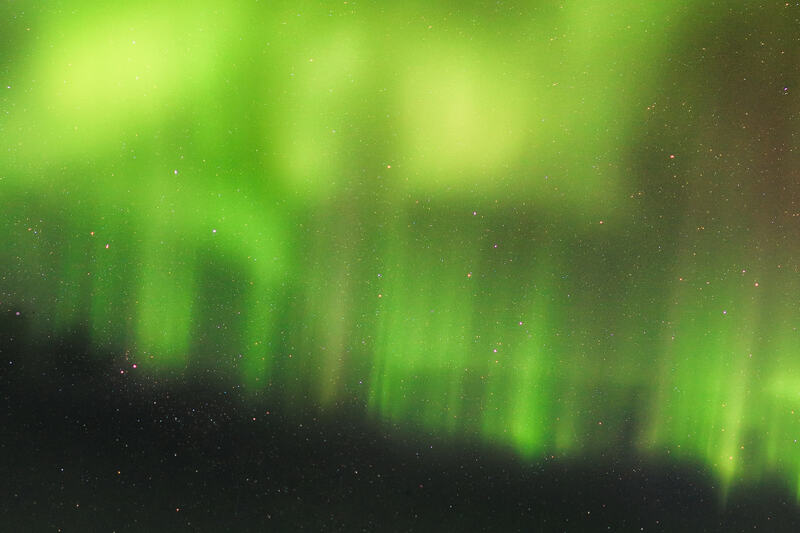 Photographing aurora can be a complicated business. Too long of an exposure and the structure in the aurora, commonly called the “curtains,” is lost and all that is captured is something that looks like a large green cloud. Short exposures can freeze the curtains but they limit the amount of light that can be captured. It is a balancing act and on this night, it was further complicated by my need to capture many photos of these fast-moving curtains for the high-resolution VAST photo assembly. Fortunately, the aurora storm was strong and provided lots of time to photograph and admire this wonderful aurora ribbon stretching across the sky above the glowing orange tent. It was pure magic. This 105-megapixel VAST photo is one of the highest definition photographs ever created. It has a resolution equivalent to 51 HDTVs.